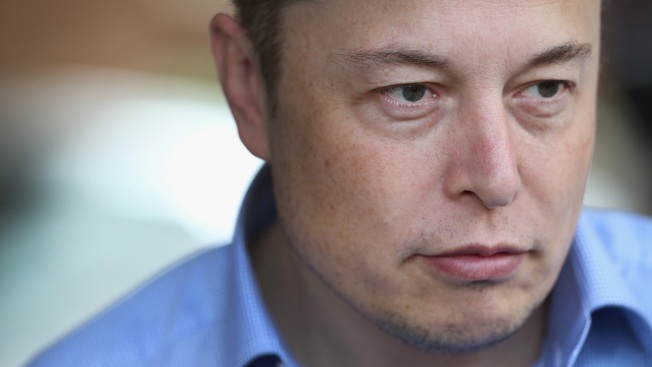 File photo: Elon Musk, CEO and CTO of SpaceX, CEO and product architect of Tesla Motors, and chairman of SolarCity, attends the Allen & Company Sun Valley Conference on July 7, 2015 in Sun Valley, Idaho. The auto executive Elon Musk tweeted that China puts a 25 percent import duty on American cars while the U.S. import duty is only 2.5 percent for Chinese cars, CNBC reported. Musk added American car companies are not "allowed to own even 50% of their own factory" in China but Chinese auto firms can own their companies in the U.S, CNBC reported. President Trump has rattled allies across the globe and raised questions at home about whether his tariff on industrial products could affect the American economy.